If you haven’t yet heard of Pusheen the cat, then let me introduce you! 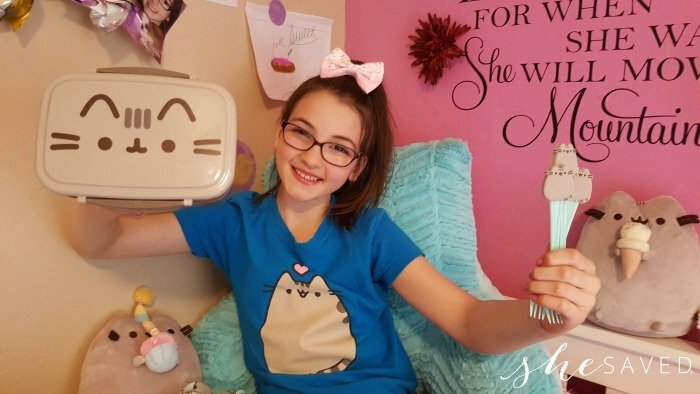 She’s a favorite around here, in fact… we are Pusheen obsessed!! 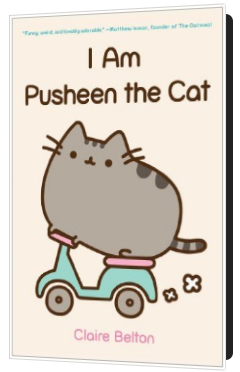 Who is Pusheen the cat? For us, it all started with a little book called I am Pusheen the Cat by Claire Belton. The book tells the story of a chubby little (and quite lazy) adorable cat named Pusheen. It’s all very simple but super darling. Thus, my 9 year old daughter has been obsessed with all things Pusheen for over a year now. If you have a young reader (or actually any age!) who loves cats, this is such a fun book! 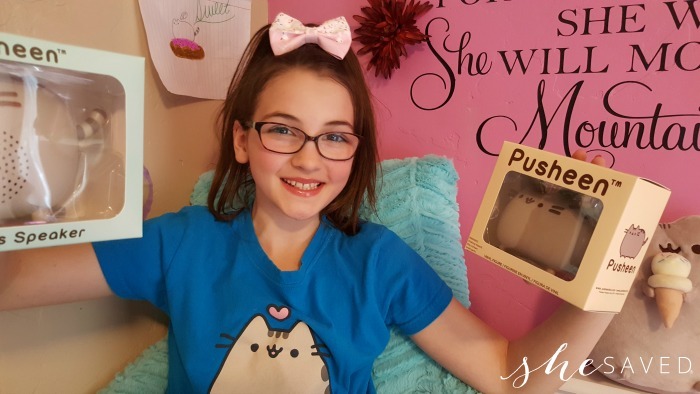 It’s filled with all kinds of facts about Pusheen, including the fact that Pusheen is a blogger! No wonderful we love her so much! My daughter has carried this book around with her for over a year, and she has even gotten many of her friends hooked on Pusheen. She even talked the school librarian into ordering this book! 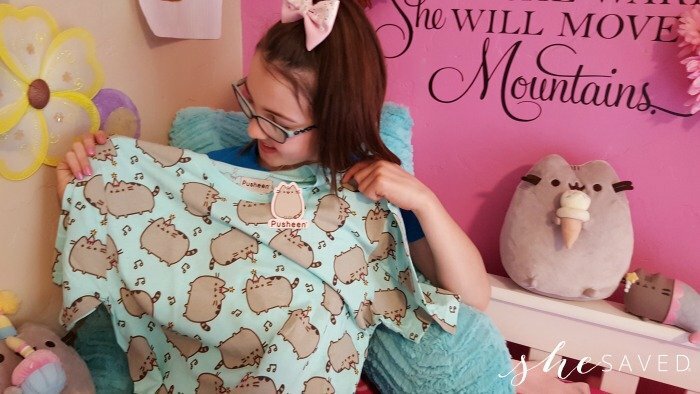 So, needless to say, were were THRILLED to review another Pusheen Subscription Box. These boxes feature exclusive and new Pusheen merchandise, and the quality is amazing. There are very few things that give you MORE value than what you pay for but I have to say, these boxes have insane value. 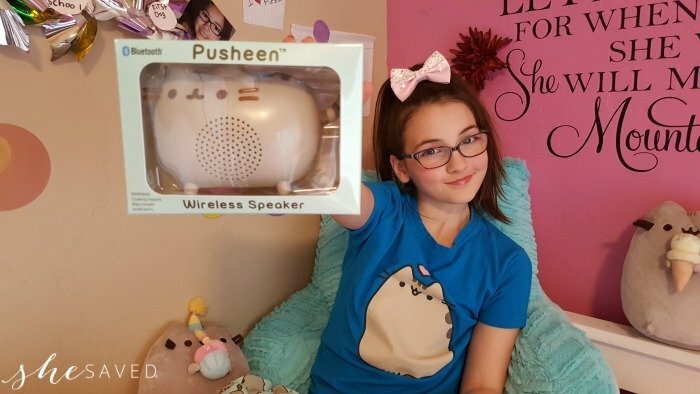 Super cool products, at a fraction of what they would cost you if you were to buy them individually – not to mention the fact that I think some of them would be hard to find, as Pusheen items are not sold in very many places and they sell out quick. 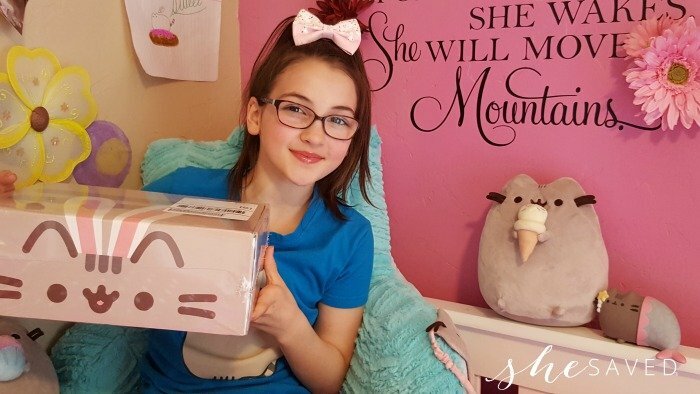 You can tell by the smiles on her fact, that this box was a HUGE hit, and I love that this is something that we can enjoy together. Did you know that MOST Pusheen fans are young adults? 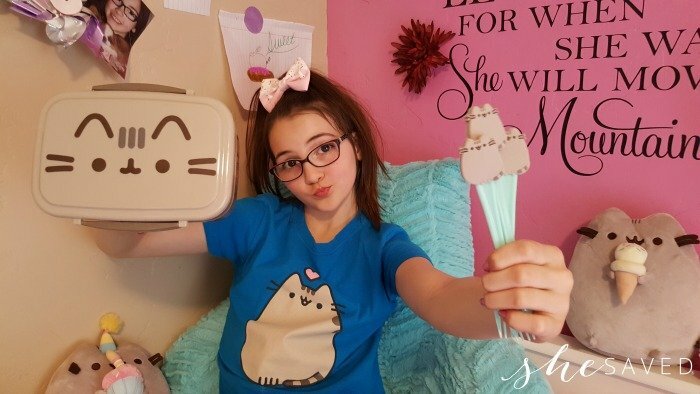 I love seeing the communities that get to excited about Pusheen products and if you are looking to find fellow Pusheen peeps, there are tons of them all around the world! See that little smirk there? That’s a bit of Pusheen sass, but don’t worry… Pusheen is mostly adorable cuteness with just a teeny tiny bit of attitude. 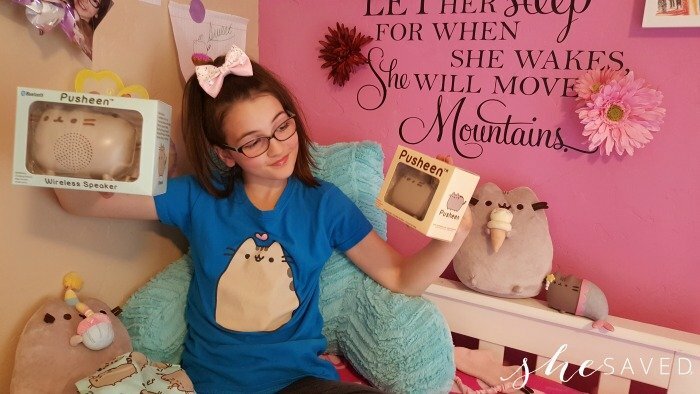 The Pusheen Mystery boxes sell out quick and are offered FOUR times per year. You can order them directly from PusheenBox.com. They include exclusive Pusheen products and exclusive Pusheen merchandise.